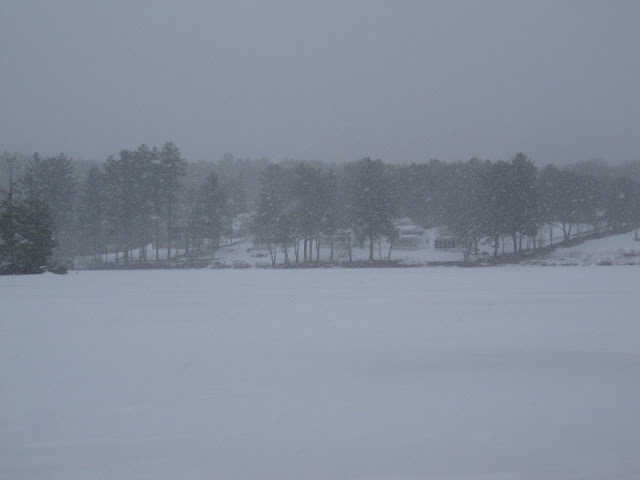 More snow for Lake Wicwas! It just keeps coming, and now that it's March, snowy days are followed by fabulous warm and sunny days. 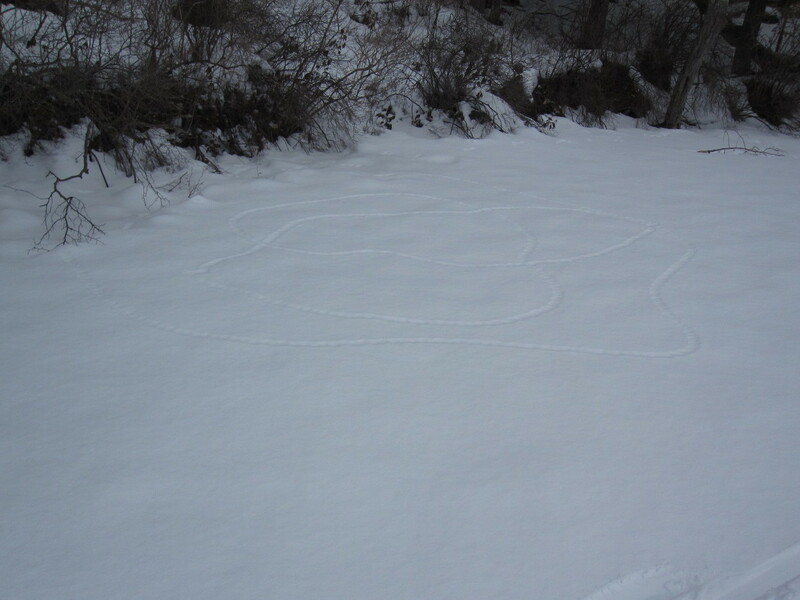 The latest storm was a soft, gentle snow painting a beautiful picture around the lake. It also left a perfect layer for animal prints, of which there were many. Long stretches of mink prints followed along the shoreline looking for mice and squirrels. 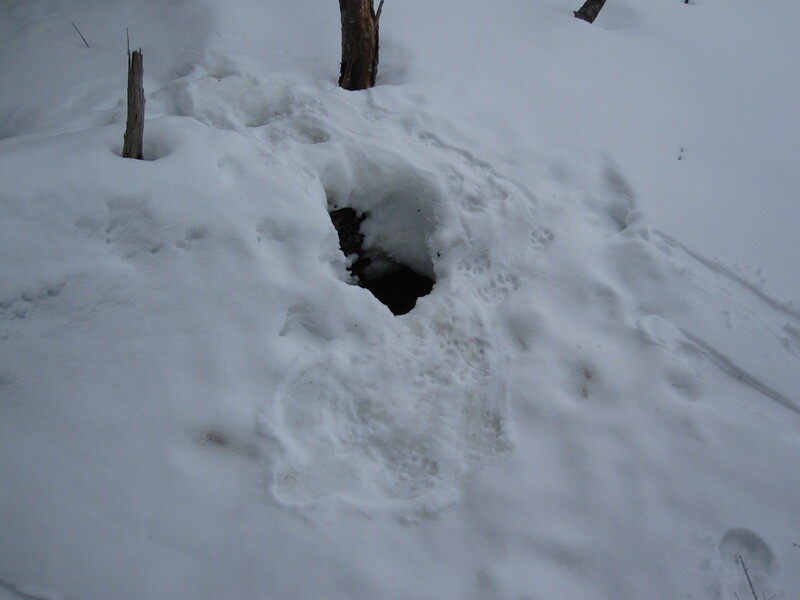 A hole next to a fallen tree where an otter had come out to to sun itself in the warm, fresh air. Which way to Terra Firma? 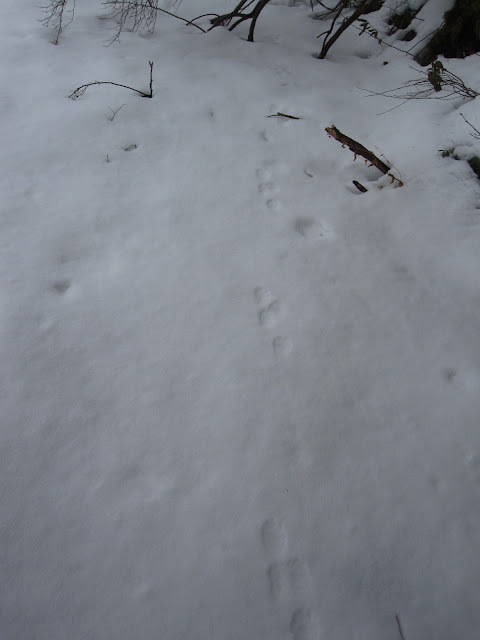 Lots of fox prints as well, and this morning at 8:00, a red fox came trotting down the road in broad daylight. 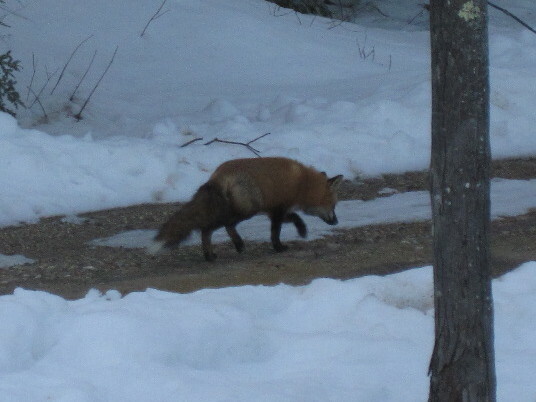 It may be a male out doing some extra hunting for its mate back in the den nursing kits which may have just been born. 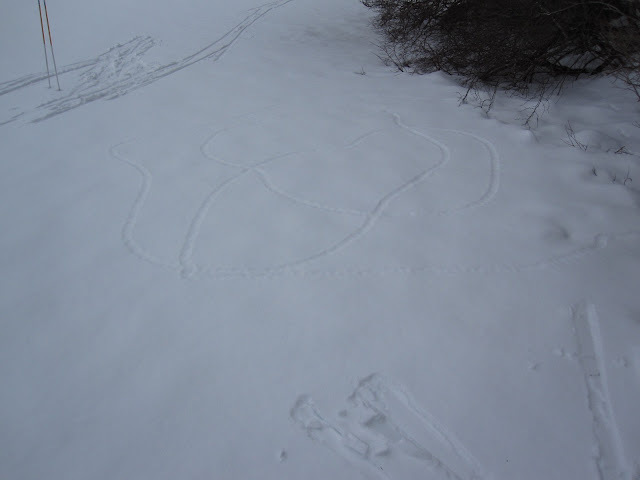 The activity is already picking up around the lake! 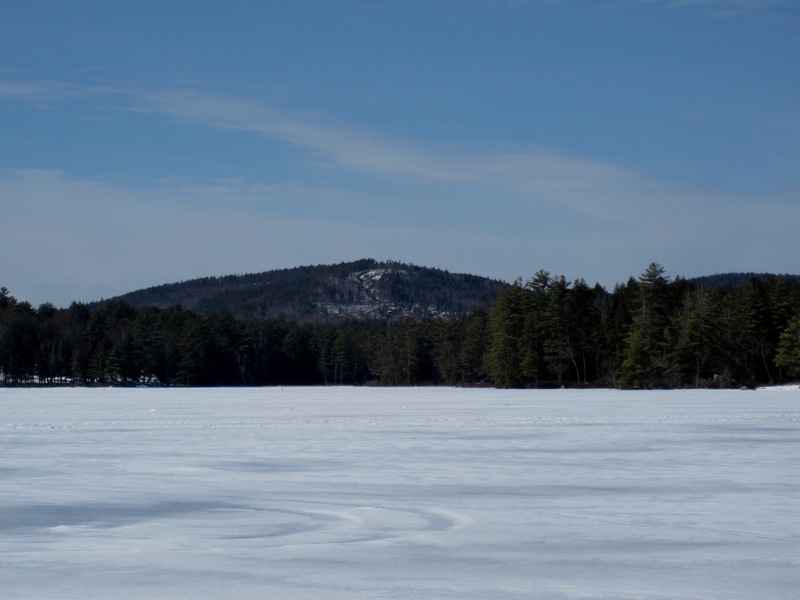 With a fabulous, clear blue sky and the sun nearing the equinox, the temperature reached past 50 degrees the past two days, and the fresh white snow made for a pretty intense scene out on the lake. I noticed a new clearing on a hill north-west of the lake - it looks like logging, as the roads seem too numerous and steep for a development. Does anyone know this story? 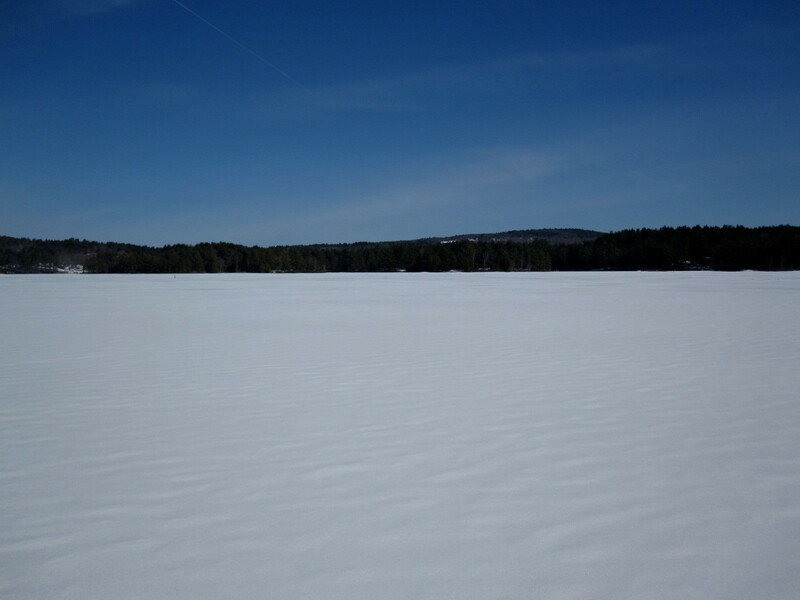 The March sun is starting to work on the ice, softening the surface, but the deep slush from last week has somehow mostly frozen up. There is now a layer of two inches of porous ice - yet strong enough to support one's weight - on top off the slush now, and in some areas the new snow is melted down to the ice layer. 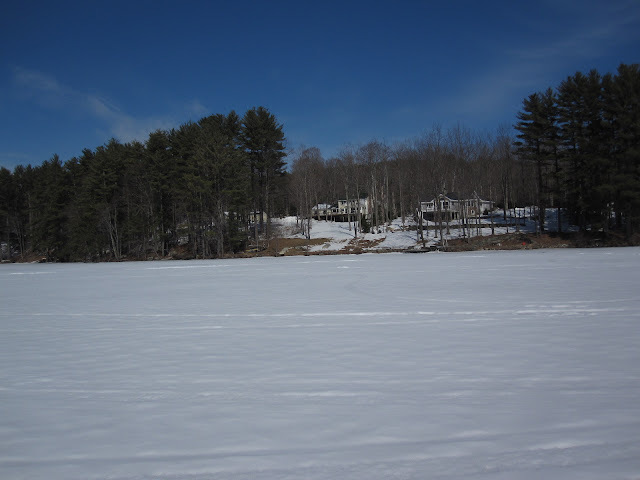 All told, there is still a total of 18 inches of ice - eight inches of soft ice and then ten inches of hard ice - at least where I cut a hole. The openings where the streams enter are getting larger every day. These are all signs that old man winter is starting to lose its grip on Lake Wicwas. 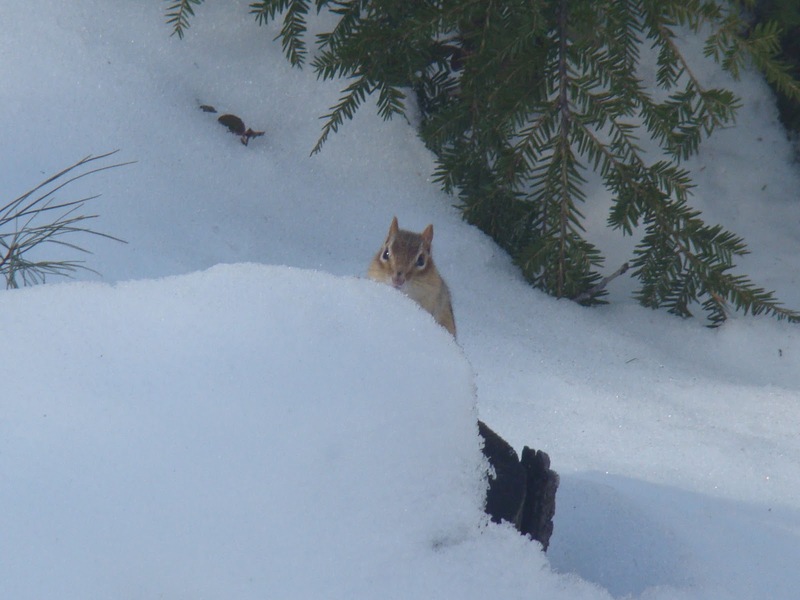 And then today, I saw the first chipmunk of 2013 peeking out from its den - another sign! The maple syrup is also flowing, with lots of taps appearing on the trees - the past few days have been perfect weather for it. Mud season is also now in full swing, and the roads around the lake have been posted. 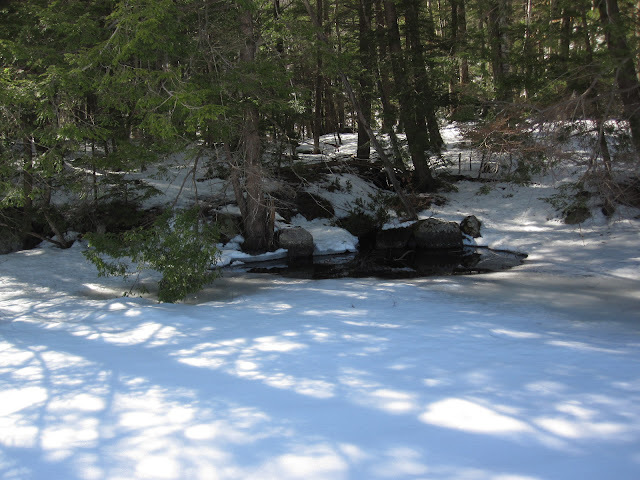 It could be a long mud season with the good snow pack. 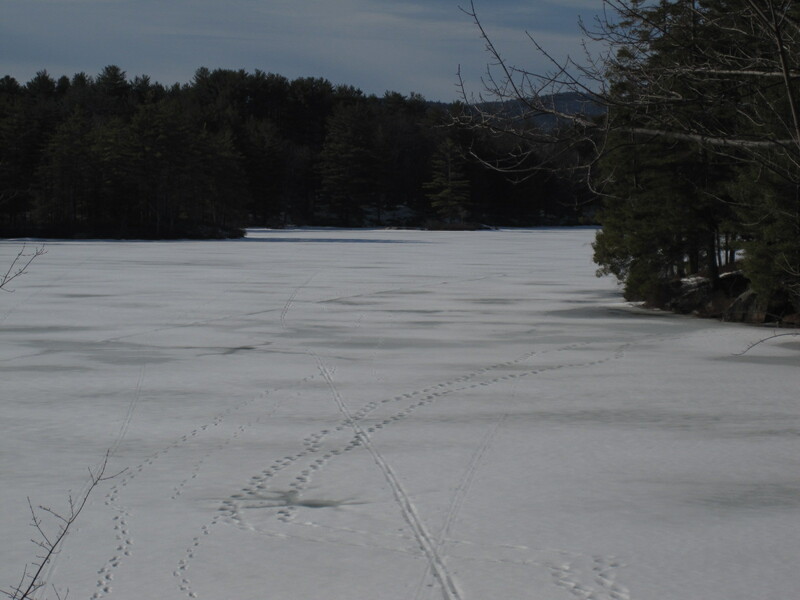 But days like this let us know spring is on its way!